Looking for something fresh and original from the online market can sometimes be very challenging because every piece seems to be a replica of everything else. For someone who is into dressing up, I do enjoy getting in on the trends and trying it out for myself, but I am most giddy when I have something that comes in limited stocks. 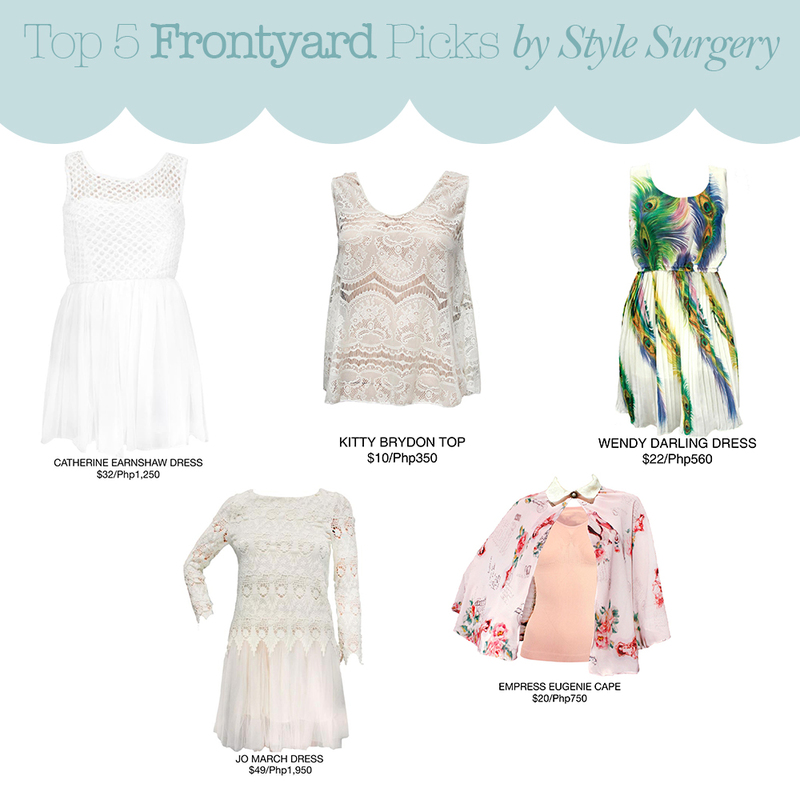 Last week, I met with the brains behind a new online shop, Frontyard. They create their own garments to ensure that you have something that is limited edition and made with love. When I saw their newest collection, March Into Spring (plus accessories), I think my heart jumped out of my chest because I loved everything I saw. You may notice that the names of their pieces have a victorian ring to it, and this is because they've taken inspiration from this fashion era in creating their current collection. I have to say, it's impressive how hands-on they are as owners of Frontyard. From the design to the sourcing of fabrics, and even right down to sewing them! Every collection is different, so you'll be able to explore your style too. Here's the best part: they ship WORLDWIDE! So, all of my local and international readers can enjoy their designs. Just send them an e-mail at frontyardclothingshoppe@yahoo.com for inquiries, or like their Facebook Page to see the rest of their collection. Tell them I said hi when you visit their Facebook Page!